"I found the 2015 Pinots to be quite dark in flavor profile and densely packed." Proprietor Kevin Harvey calls 2015 the most concentrated vintage he has seen yet at Rhys because of the small berries and low yields that are such a signature of a growing season in which the typically paltry Santa Cruz Mountains yields were reduced even further by poor weather during flowering. 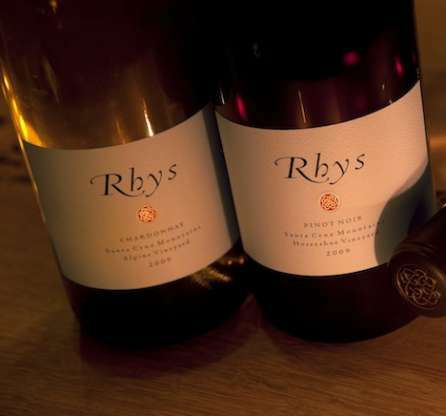 As a result, Rhys did not bottle their Pinot Noir Swan Terrace or Pinot Noir Skyline Vineyard. Not surprisingly, I found the 2015 Pinots to be quite dark in flavor profile and densely packed. Silky tannins give the wines a certain degree of approachability, especially among the appellation level Pinots, but I expect the top wines in this range will need a number of years to unwind and be at their true best. Stylistically, the Chardonnays are all a bit riper in style and seem to reflect the challenges of the year more than the Pinots, something I saw at other estates as well. I also tasted a handful of 2016 Pinots that will be offered as futures. I found more aromatic lift and less overt concentration than in either 2015 and 2014. The sampIes I tasted suggest 2016 will turn out to be another brilliant vintage at Rhys. Lastly, while Rhys has received notable acclaim for their Pinots and Chardonnays, the lone Syrah remains one of the very finest wines being made in California today. Readers should not miss it! The 2015 Chardonnay (Anderson Valley), all from Bearwallow, is soft, pliant and accessible, all qualities that make it an excellent choice for drinking now and over the next few years. Apricot, lemon confit, white flowers, along with a distinct tropical note, give the wine considerable near and medium-term immediacy. Hints of baked apple, brioche, chamomile and wild flowers develop later. There is lovely brightness to play off some of the riper elements. 90. A broad, ample wine, the 2015 Chardonnay Bearwallow Vineyard is endowed with lovely textural richness and breadth. Orange peel, tangerine and exotic spice notes are pushed forward, with an attractive hint of reduction that adds character. This is a distinctly oily, creamy style of Chardonnay from Rhys. 93. Rich, honeyed and oily on the palate, the 2015 Chardonnay Alpine Vineyard is also the most overt Chardonnay in the Rhys lineup. Orange peel, crème brulée, spice and butter notes fill out the wine’s ample frame effortlessly. This is a decidedly flamboyant, extroverted style. The 2015 can be enjoyed with minimal cellaring. 93. The 2015 Chardonnay Horseshoe Vineyard is precise, tense and brilliant, but with plenty of the phenolic intensity that is typical of the Santa Cruz Mountains. Lemon confit, white flowers, white pepper and mint are some of the signatures. With time in the glass a slightly tropical note starts to develop, but there is an attractive brininess that adds freshness. I would prefer to cellar the 2015 for at least a few years. Even today, though, it is striking. 94. The 2015 Pinot Noir (Anderson Valley), the second selection from Rhys’s Bearwallow vineyard, is gorgeous. Sweet red cherry, hard candy, wild flowers, mint and rose petal notes are pushed forward in a pliant, supple Pinot that will drink well right out of the gate. There is so much to like here, including the wine’s engaging, up-front personality. This stellar appellation-level wine overdelivers big time. Don’t miss it. 92. The 2015 Pinot Noir Bearwallow Vineyard is a total knock-out. Rich, explosive and forward, the 2015 possesses striking fruit intensity and purity in every dimension. Dark red and bluish-hued fruits and ripe, silky tannins add to the wine’s immediacy. This is an especially plush style for Rhys, but it works beautifully. The 2015 will be even better in another few years, but it will prove virtually impossible to resist young. 94. All of the qualities of Bearwallow come through in the 2015 Pinot Noir Bearwallow Vineyard Porcupine Hill, but in an amped up manner. Plush and intense, but also massively tannic, the 2015 is going to require quite a bit of patience. Here, too, the flavors are on the darker end of the spectrum. This is a gorgeous wine in the making. 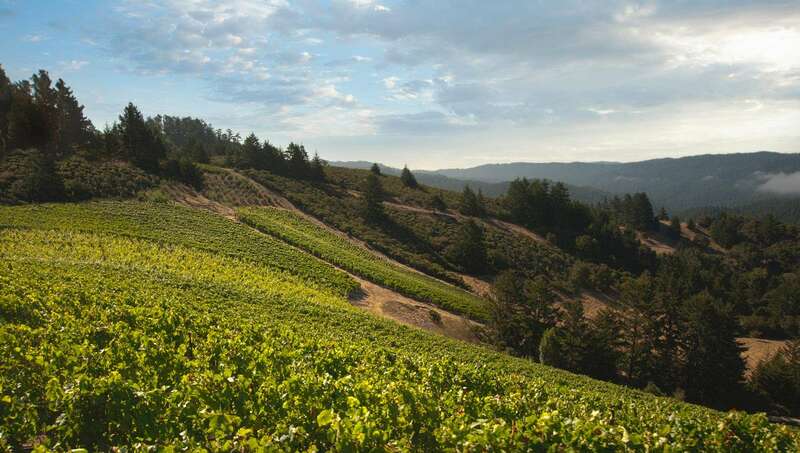 The core of Porcupine Hill is composed of newer, high density plantings, but the wine itself is best defined as the very best selection of Bearwallow. 95+. The 2015 Pinot Noir (San Mateo County) is one of the hidden gems in this lineup, as it often is. The radiance of the vintage comes through, but the addition of 33% whole clusters adds savoriness and striking aromatic lift. Sweet red cherry, mint, rose petal and sage are some of the many notes that develop in the glass. This is another very pretty and expressive wine from Rhys. 92. The 2015 Pinot Noir Family Farm Vineyard is tightly wound today. Then again, it was just bottled about a month before this tasting. Pure, saline-driven and tense, the Family Farm shows a more focused, chiseled expression of the year. Time in the glass brings out the wine’s body, textural richness and overall density. Even so, the Family Farm plays more in the red fruit end of the flavor spectrum. Readers who find the 2015 Pinots a bit too rich will find much to admire in the Family Farm. 95. A wine of gravitas and pure power, the 2015 Pinot Noir Home Vineyard is a real stunner. The 100% whole clusters are pretty much buried by the sheer intensity of the fruit. This is an absolutely captivating wine in every way. Like so many of these 2015s, the Home is going to require many years to be at its very best. Even so, its potential is amply evident today. 96. The 2015 Pinot Noir Alpine Vineyard is another superb wine in this lineup. Nothing in particular stands out. Instead, all the elements come together effortlessly. Rich ample and pliant, the 2015 possesses remarkable depth and density in all of its dimensions. The 2015 was done with only a touch (10%) of whole clusters. What comes through most is the extraordinary quality of the fruit. An infusion of blood orange, pomegranate, mint, white pepper and spices leads into a finish laced with exoticism and allure. Yields were just 0.75 tons per acre. 95. One of the highlights in this range, the 2015 Pinot Noir Horseshoe Vineyard takes over all the senses and never lets up. The aromatics alone are extraordinary. Powerful and yet also beautifully layered in the glass, the 2015 exudes raciness. In this vintage, the Horseshoe has a Syrah-like intensity and spiciness that is impossible to miss. The Horseshoe was done with fully destemmed fruit. Yields were a paltry 0.25 tons per acre. In a word: magnificent! 97. The 2014 Syrah Horseshoe Vineyard is a magical wine. Interestingly, the Syrah shares much with the Pinot off this site in its structural feel and dark flavor profile. Inky blue/purplish fruit, herbs, crème de cassis, spice, lavender and mint are all beautifully delineated. Beams of supporting tannin give the wine its shape and overall intensity, yet the 2014 retains a super-classic, Santa Cruz Mountains feel of almost deceptively mid-weight structure. The 2014 was done with 100% whole clusters. Malolactic fermentation was done in steel, the wine then spent a year in barrique followed by a year in 25HL cask. What a gorgeous wine this is. 96. The 2016 Pinot Noir Bearwallow Vineyard is a wine of aromatic lift, freshness and energy. It is also less overt than prior years, the 2014 and 2015 in particular. Fresh red berry fruit and floral notes are supported by beams of salinity that extend the finish nicely. The 2016 is shaping up to be a jewel of a wine. At present, the Bearwallow includes lots that will eventually be used for the Anderson Valley appellation wine, so there is good reason to believe that the Bearwallow Pinot will be even stronger than this note suggests. (90-93). Another terrific 2016, the Pinot Noir Alpine Vineyard is a wine of total finesse. Fresh red berry, mint, spice and floral notes give the wine its distinctive perfumed, lifted personality. Pliant and understated, the 2016 Alpine is loaded with potential. This sample includes lots that might be culled out for a Hillside bottling. (91-94). The 2016 Pinot Noir Horseshoe Vineyard is the most backward of the three 2016 Pinots I tasted from barrel. There is plenty of potential, but the wine also needs time to fully come together. Today, the Horseshoe carries considerable tannic clout to match its savory personality. This sample includes wine that may eventually be culled out for a Hillside bottling. (91-94). A vivid, utterly extraordinary wine, the 2016 Syrah Horseshoe Vineyard boasts crazy aromatic depth and layers of vivid, sculpted fruit. Intense, but with no excess weight, the 2016 Horseshoe is a thrill a minute. Bright red stone fruit, orange zest, mint and white pepper give the 2016 much of its distinctive personality. Quite simply, the 2016 Horseshoe is one of the very finest California Syrahs I have ever tasted. I can’t wait to see it in bottle. (95-98).